If you don't believe video is powerful enough to change us, just ask Coke and Pepsi why they make 30 second commercials. 24 hours in 1 minute: Sunrise to sunset over Golden Gardens, the Olympics and Puget Sound. Sample of work for Non-profit organization. Filmed for Mennonite World Conference funded by Mennonite Central Committee. Multiple video samples in a custom made flash player. Samples of International, Educational and dramatic work. 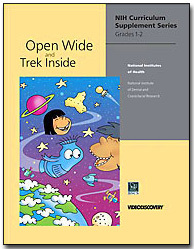 Open Wide and Trek Inside was showcased by NIH in the United States Congress as an example of their work. As producer I worked with animator Tom Delongschanmp to create the concept and impiment all the video and interactive portions of this educational curriculum. Besides teaching very young children about oral health the objective of the module is to engage students in the nature of science through inquiry. As students ask and answer questions about their mouths, they model the process scientists use to find out more about the natural world. Discover the fundamentals of neurobiology, and learn how drugs of abuse change the brain. Learn that drug addiction is a treatable, chronic brain disease. 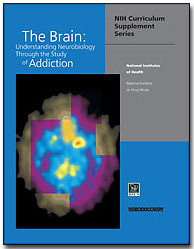 This was one of the most challenging curriculum I ever had to produce video for, because I was working with neuro scientists and needed to learn a whole lot about addiction and brain science.